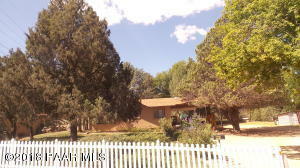 Description: Own a piece of Prescott's history! 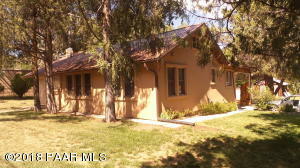 This is a cool property and was part of the original 1928 ''Mill'' and with the bunkhouse. Remodeled in 1961, needs updating. 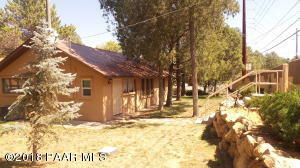 This is a unique property, half an acre with a well that is grandfathered for irrigation. Main house 1350 SqFt and the 605 Sq.ft. bunkhouse has city water. Backs to the creek for more privacy. Bring all your toys, plenty of room. 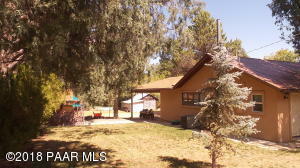 And only minute from Downtown, Nat Forest, and shopping. 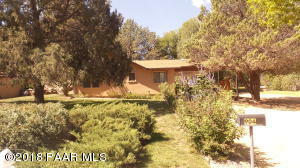 This would be a great rental property for investment or live in year around. There out buildings and room for lots more. 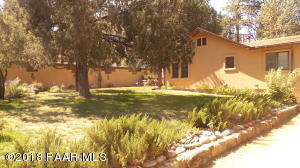 This property has many unique features, Main house is a 3 bed 1 bath, over $30K up-grades the last 3 years. New Roof, Anderson windows, New water heater, New stucco, planter boxes, hot tub / gazebo and much more. A must see..